Long ago, in a far-off island Kingdom, a young Princess named Tania lived with her father the King, and her stepmother, the Queen Amara. Amara was a vain and fussy lady who treated people quite badly. She especially treated the servants who worked for them quite miserably. Unfortunately, Amara was also mean to Tania when her father was not around. Tania wanted to tell her father about the way she was being treated, but she knew her father loved the Queen, thus Tania was afraid that he might not believe her, so she never said a word. One Christmas Eve, as Tania sat quietly, looking out of her upstairs bedroom window, she saw a shooting star streak across the the sky. People often wish on shooting stars. “I’ll wish Amara will be gone from our life,” whispered Tania. Tania quickly put the bell back inside the box and hid it under her bed. “I’m coming!” she called back. She then ran downstairs to meet her father and stepmother, who, along with their guests, had gathered to celebrate the day with a feast and an exchange of presents. Tania was shocked. Under Amara’s reign, the kingdom was always chaotic and disordered. Amara was terribly cruel to the knights, the servants, the peasants and everybody else in the kingdom. Regardless, Tania politely replied “Yes Mother, I’ll do it,” to every request that her stepmother made. Amara was never pleased with anything Tania did, though. She continually experienced discontent and scolded Tania for being lazy, even though Tania honestly felt that she had done very her best to complete the tasks set out for her. “You have until tomorrow morning to finish your work,” Amara finished coldly. Then she turned, and left the castle for the day, leaving Tania standing there trembling. Tania was very frightened because she realized she would be unable to do all of those tasks within the short time Amara had granted to her. She began to cry. She knew that if she didn't please Amara she would be cast out of her own home, and have no place to live. Tania worked and worked all day long, but by nightfall, she had hardly even made a dent in Amara's long list of chores. Suddenly, a thought occurred to her. She remembered the present she had received and hidden away on Christmas morning. "It's certainly worth a try," she considered. Tania ran upstairs to her bedroom, and pulling the box out from beneath the bed, she opened it and removed the pretty little bell. 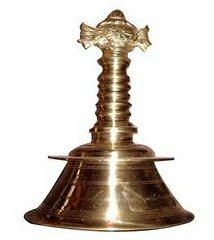 "I don't know what this bell is for," she thought to herself, "but since it appeared in my bedroom like magic, perhaps the bell itself is magic. I'll ring it and make a wish". Tania took the bell, closed her eyes very tight, and rang it once. “I wish that all of the tasks Queen Amara has given me will be completed before morning,” she whispered. As Tania opened her eyes, she saw dozens of little beings appear. They were green, with elfin type ears, long noses, and pointed hats. Perhaps they were magical elves! thought Tania with wonder. Instantly the little elves took off running in all directions, going everywhere in the castle that work needed to be done. The little elves immediately began doing all Tania's chores. Some of them started scrubbing the castle floors, some began sweeping the stairs, and yet others were busily washing the dishes. The elves were hard at work on every single task that could possibly be done in the castle. Tania tried to talk to them, but they were so engrossed in their work that they didn't even seem to notice her. They worked amazingly fast, and the moment they finished their work, in the blink of an eye, they all disappeared. Tania was so grateful for their help! The next morning, as Amara inspected everything she had instructed Tania to do, she was very surprised to find that every single corner of the castle was squeaky clean, all the dishes were spotless and even the windows were sparkling. Although Tania had managed to do everything Amara had asked of her, Amara still felt dissatisfied. This was not the outcome she had expected. So Amara continued to give Tania a long list of tasks to perform every single night, threatening her with the warning that everything had to be complete before morning, or Tania would be sent away. And still, Tania somehow managed to complete all of those difficult tasks. Amara couldn't figure it out. She wondered how Tania was able to do all that work, all by herself. So one night, thinking that the Queen was asleep, when Tania reached under her bed for the box containing the magic bell, she had no idea that Amara had hidden herself behind the bedroom door, in order to discover Tania's secret. Amara saw Tania pull the box from its hiding place under the bed, she saw her take the bell out, ring it and make a wish, and then to her great surprise, she saw dozens of little creatures appear and immediately set to work. “I need to get hold of that magic bell,” muttered Amara angrily, as she gritted her teeth. The very next morning, as Tania was having her breakfast, Amara said to her, “Tania, I want you to go into the woods today to pick some special herbs for me. Take some of the servants with you, if you need them," she ordered. “Don’t worry Mother, I can go by myself,” replied Tania. While she was away, Amara tiptoed into Tania's room and stole the magic bell. "That's weird," thought Tania, completely baffled as to why Amara was suddenly being so nice to her, but she appreciated being given the night off after her long day in the woods picking herbs, so she gratefully went to bed. That night, once everyone else was sound asleep, Amara pulled the box containing the magic bell out from beneath her own bed, where she had hidden it earlier in the day. Amara went on incessantly, making one wish after another after another. When she was finished, she opened her eyes, and the same group of little elves appeared. But instead of granting her wishes, they began misbehaving. They started by smashing all of the castle's glasses. They then began staining all of the walls and the floors. They were ruining everything in sight! But none of the elves paid any attention to her. “I command you to stop, I am the ruler of the kingdom!” cried Amara but the elves ignored her and continued wreaking havoc inside the castle. There was an enormous amount of smashing and crashing and banging going on. There was so much noise coming from the castle that almost the entire kingdom was awakened out of a sound sleep, and everyone ran to the castle to see what was going on. When they arrived, they saw dozens of strange little creatures ransacking the castle. Like the rest of the kingdom, Tania and the servants had been awakened by all the crashing and banging, and still in their nightclothes, they ran from their rooms to see what was happening. No one could believe their eyes at the amount of mess and mischief the destructive little creatures were making. Just then Amara caught sight of Tania. “Tania, my dear, make it stop, these horrible little creatures are not listening to me!” begged Amara. So the terrible noise and destruction continued. It was only when the night eventually reached dawn that the little creatures finally disappeared, leaving behind them a perfectly awful mess. She was afraid that the King would return early, before the terrible mess could be cleaned up, and she worried that the King might even discover what had happened. Sure enough, the King arrived home early, that very morning. He was thoroughly appalled to see the condition of his castle. The place was a complete mess. He asked his servants "Who has done this to my castle?" "The Queen," they replied. "She summoned the little creatures who destroyed everything." He asked the townspeople, "Who has done this to my castle?" "The Queen," they replied. "She summoned the little creatures who made the big mess". He asked his daughter Tania. "Tell me the truth," he said. "Who has done this to my castle?" So Tania told him everything that had happened, and that's how the King finally learned the truth about Queen Amara. He was outraged by Amara's behaviour. Amara threw herself on the King's mercy. “Please my dear, forgive me for what I’ve done,” begged Amara. He considered her carefully. “You have no right to be here," he decided, and he promptly banished Amara from the kingdom. That night, Tania stood on the balcony outside her bedroom, and admired the shimmering stars in the sky. “Looks like my wish on that shooting star came true after all”, she thought to herself. “Thank you,” she sighed to the night sky. The next day Tania took the bell with her and walked deep into the woods. Then she stopped, and closed her eyes. Drawing on all of her strength, she threw the bell as far into the woods as she could, while making her final wish. "I wish that this magic bell will eventually be found by someone who needs it as much as I did," she whispered. Sirhajwan Idek from Sabah, Malaysia is an English teacher of secondary school. He is a graduate of University Technology Mara Malaysia with first class degree (CGPA 3.92) and is a recipient of Vice Chancellor Award. You may write to Sirhajwan at sirhaj87@yahoo.com . Peninsular Malaysia is located in Southeastern Asia. It borders Thailand in the north and Singapore in the south. The capital of Malaysia is Kuala Lumpur. A peninsula is an area which is attached to a larger body of land, but which has a land mass that extends out into the ocean. In America, the state of Florida is considered a peninsula. Within Malaysian society there is a Malay culture, a Chinese culture, an Indian (from India) culture, and a Eurasian (European/Asian) culture, along with the cultures of the indigenous groups of the peninsula and north Borneo. A good way of explaining the term "indigenous" would be to say that this is the land their distant ancestors were from. In America, the Native American Indians would be termed "indigenous" peoples, because they lived in America before everybody else arrived. The people of Malaysia are considered well educated., and nearly all the world religions, including Islam, Buddhism, Hinduism, and Christianity are present in Malaysia. On a daily basis, most Malaysians dress in the same type of clothes you and your friends might wear, but just as in America, you'll also see some women wearing traditional long skirts/pants and head scarves. On special occasions, and often at weddings, people from Malaysia's different ethnic groups may choose to wear their traditional clothes, which are colorful as well as very beautiful . Here are some additional images of the traditional clothing worn in Malaysia. Click here to view some additional images of the countryside, the traditional clothing, and the people of Malaysia.